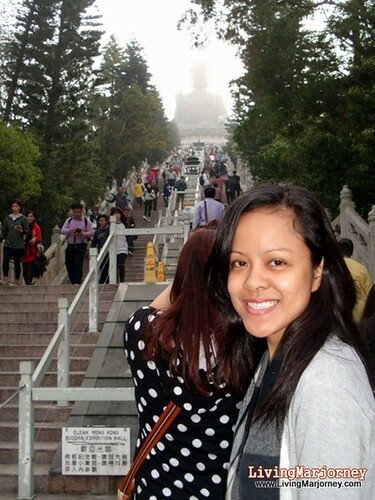 Few weeks from now, we'll be celebrating two special occasions - Our first year anniversary as husband and wife and Chinese New Year. 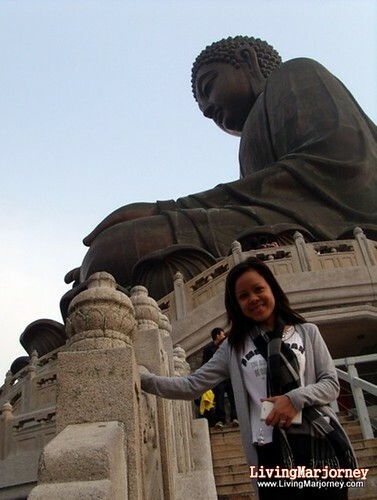 The latter is special because it was Chinese New Year of 2013 when we exchanged our vows. 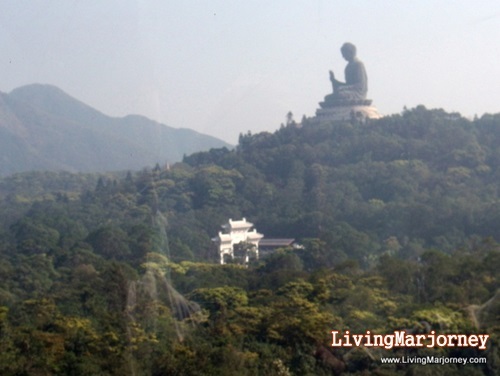 So, as promised, here's Part 3 of our honeymoon trip to Hong Kong. 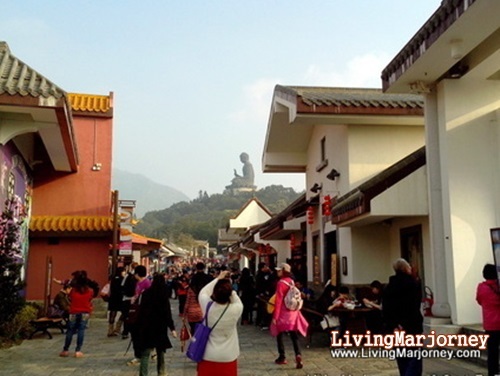 It was Chinese New Year when we visited Ngong Ping 360, located at Lantau Island. 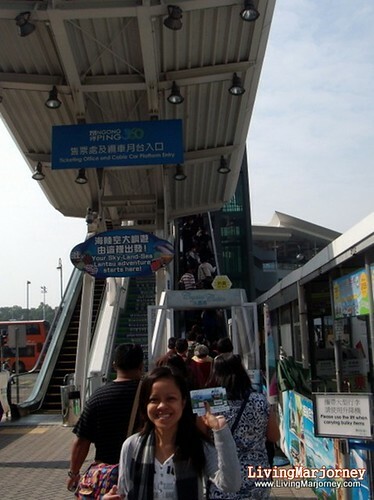 To get there, you must go to Tung Chung Cable Car Terminal or Citygate outlets, it's also near train station going to the airport. 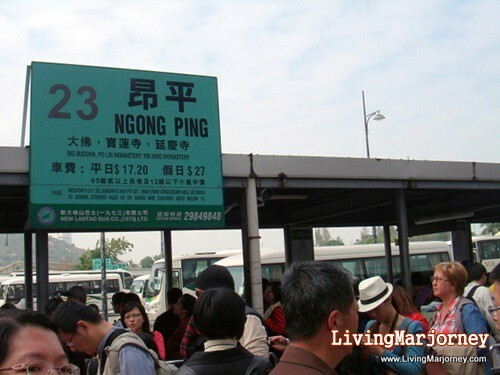 You can reach Ngong Village and the Big Buddha by riding the cable car. We paid $120 (adult) for a round trip ticket. We presented our passports at the counter. 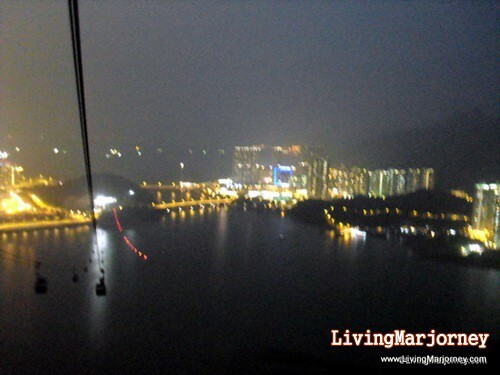 You can choose between regular and glass-bottom Ngong Ping cable car. 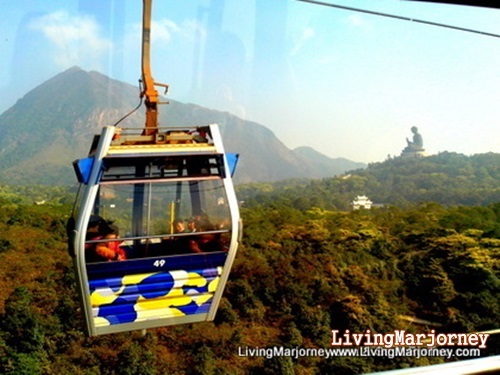 We took the regular one, aside from it's cheaper I was worried I might get dizzy if we ride the crystal clear (even if I don't have fear of the heights). 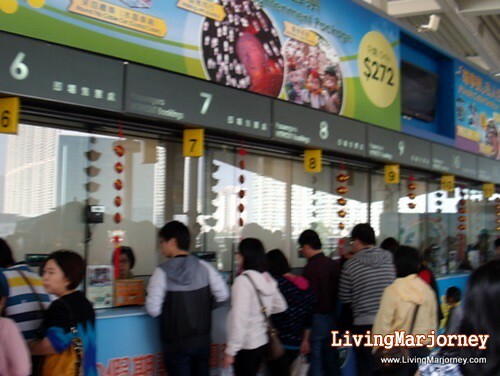 We were surprised to see a long queue to the ticketing station. Yeah, it was Chinese New Year! 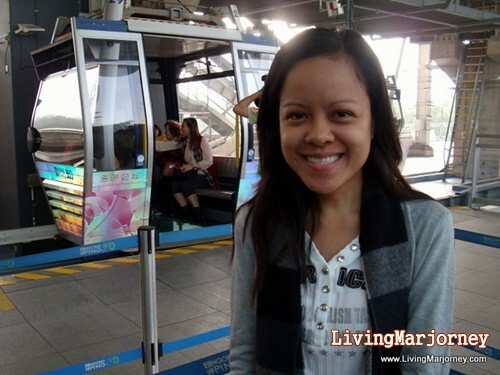 We endured almost two hours before we finally took the cable car. It was worth the time and effort though, the ride is already an attraction. We were cuddling each other as we enjoy the view of the city, the shore and the mountains we passed by in almost thirty minutes. 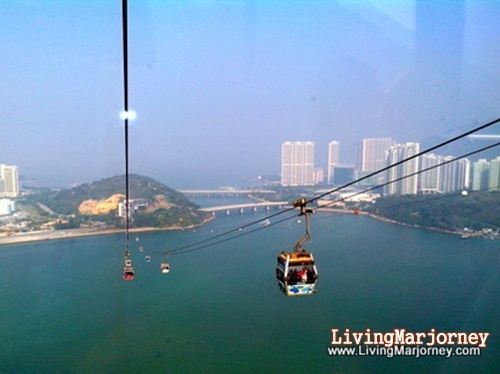 See the deep blue sea and green mountains via Ngong Ping Cable Car. 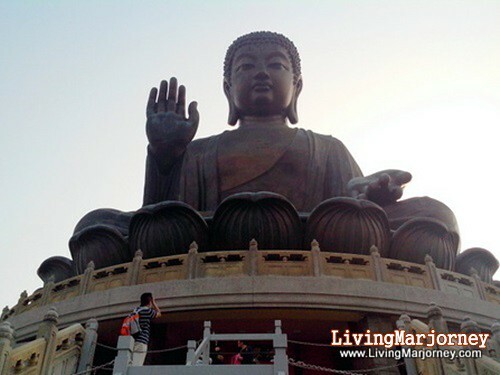 Not too long, we saw the biggest Buddha in the world. 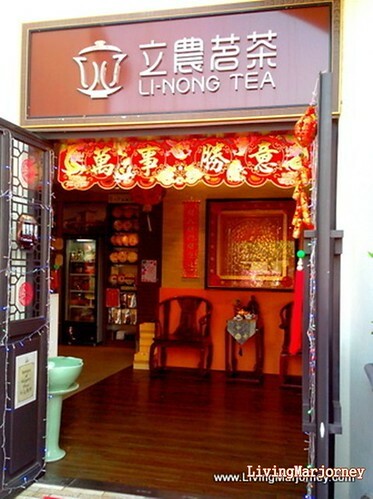 We passed by Li-Nong Tea House, there was an ongoing tea making demonstration then (with fee). I found a lot of pretty yet expensive tea cups and tea sets but photography was not allowed inside. I wanted to buy one but I really find it too expensive, imagine two thousand pesos for a simple tea cup! 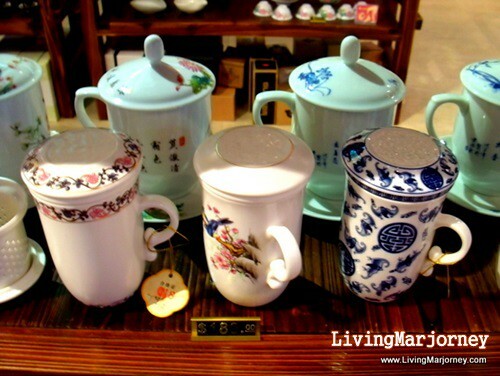 Surprised when hubby went back at Li-Nong and bought a lovely teacup (the one with blue print) Hayy! I really like it and my husband is such a sweetheart! 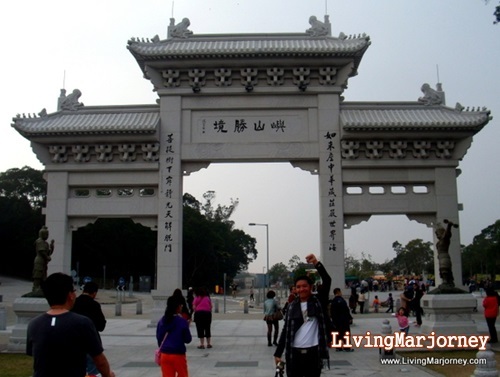 Here are the gates leading to the long staircase and to the Buddha. 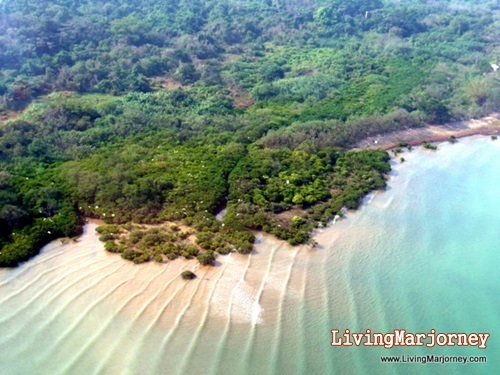 We enjoyed the 360-degrees picturesque view. 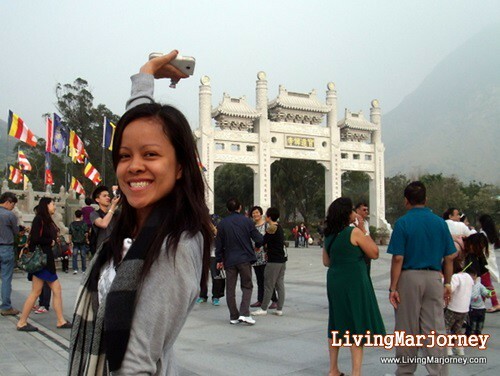 We arrived at NP around 2pm, did I mentioned that it was freezing cold at Lantau Island? 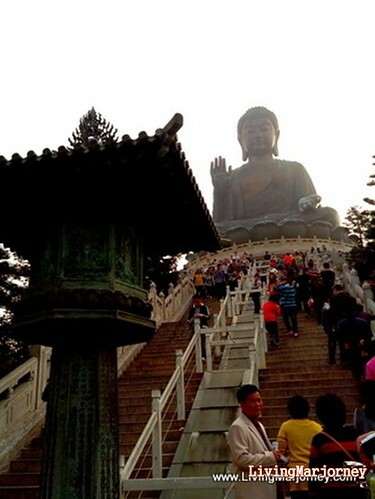 After that, we started the long journey to the big Buddha. 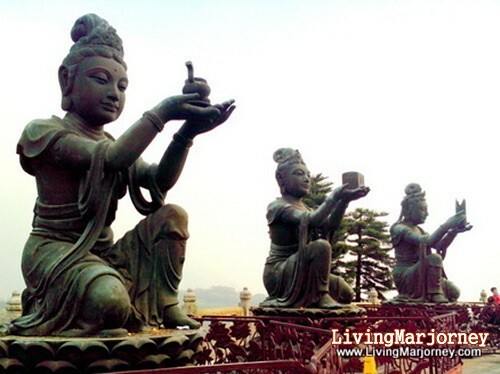 There were big images of Buddhist deities on top of the hill and they look like offering gifts to the Buddha. 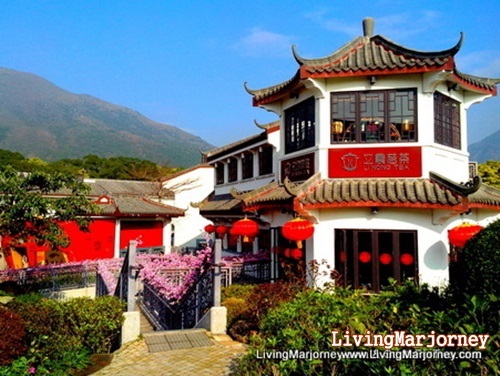 For a cold place like Lantau, anyone will surely look for coffee shops, restaurants and dessert shop. 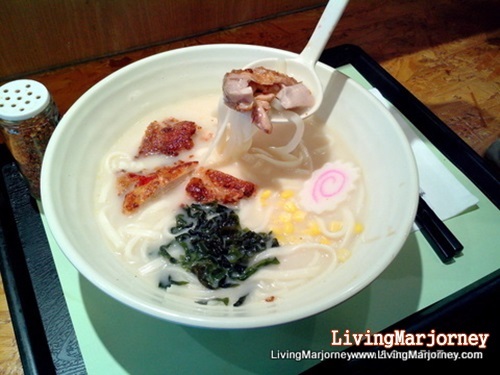 We had a bow of sumptuous ramen at Ngong Ping Garden Restaurant. 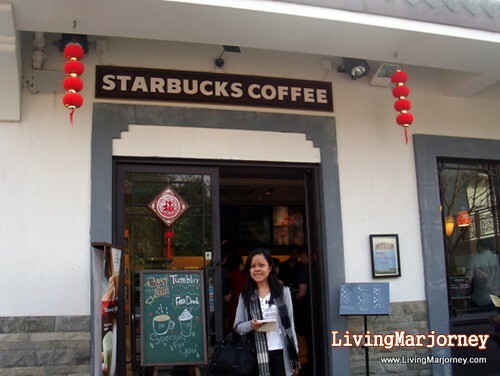 Coffee to keep you warm at Starbucks. 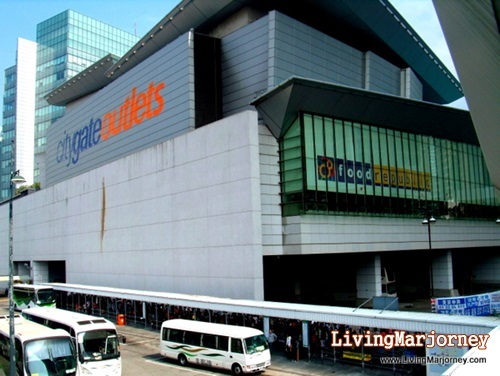 We're rushing to the cable car station to catch our 8pm flight back to Manila but we still have to go back to the hotel to pick up our luggage. Hong Kong 360 at night sorry for the not-so-good photo. 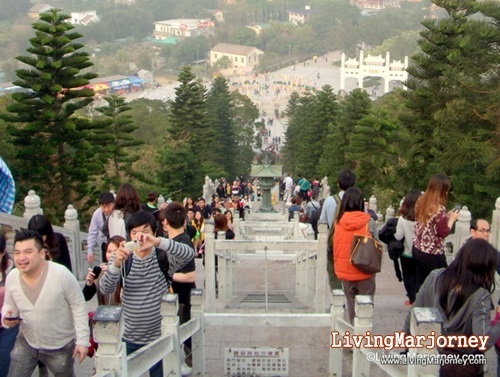 I hope you'll include Ngong Ping 360, cable ride and perhaps a quick tour at Tai O Fishing Village (which we were not able to include in our itinerary) on your visit to Hong Kong. It was a great experience! 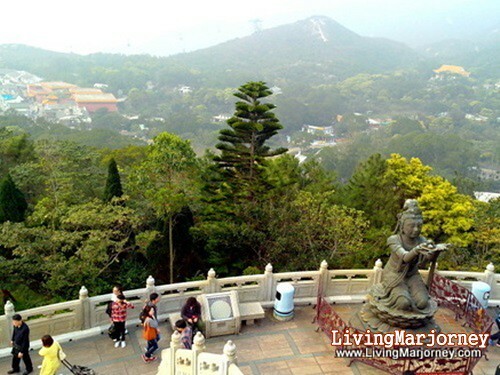 Ngong Ping is strategically located at Lantau Island and very close to Hong Kong International Airport.